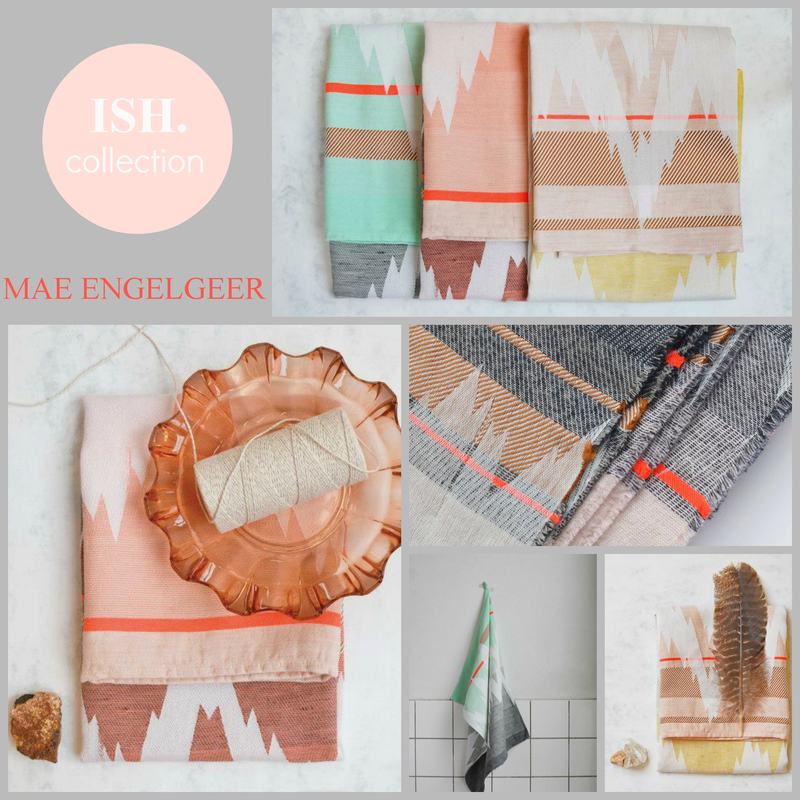 Gifted textile designer Mae Engelgeer combines gorgeous colours, striking graphics and beautiful materials to create an incredible range of bedding, teatowels, scarves, cushions and blankets. She set up her studio after graduating firstly in arts from the Sandberg Institute in Amsterdam and then as a textile designer and stylist from the Amsterdam Fashion Institute. 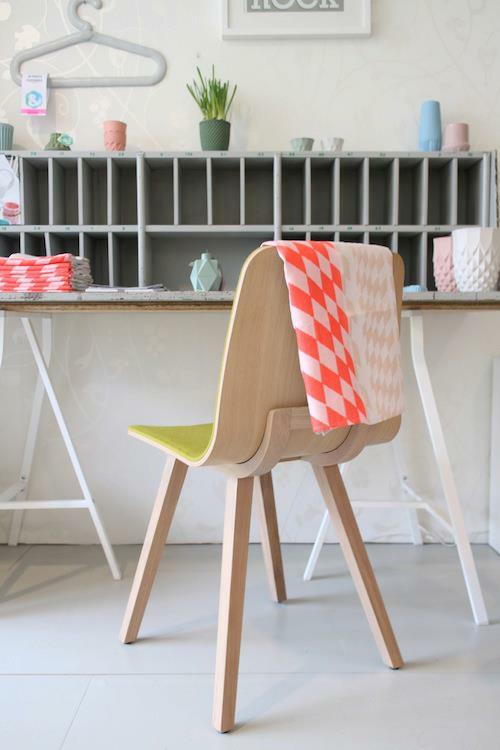 Her collections, which are developed and produced in the Textile Museum of Tilburg in The Netherlands, have been featured in many publications including Elle Decoration, Volkskrant Magazine and VT Wonen. Mae's latest collection ISH. is my favourite so far. 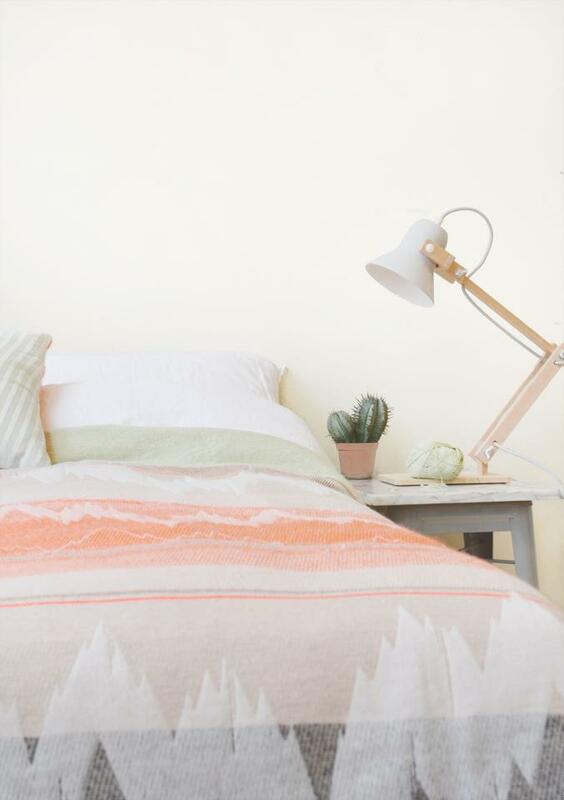 A luxurious mix of mohair, merino wool and cotton, the series of textiles feature an eyecatching graphic pattern and a drool-worthy colour palette of blush and mint with pops of bright orange and copper. Beautifully soft and tactile, I'd love to own one of the ISH. Blankets. Not only would the colours look incredible with our new grey sofas, it'd be the perfect cosy throw for those cooler nights we've been experiencing here in NZ lately! 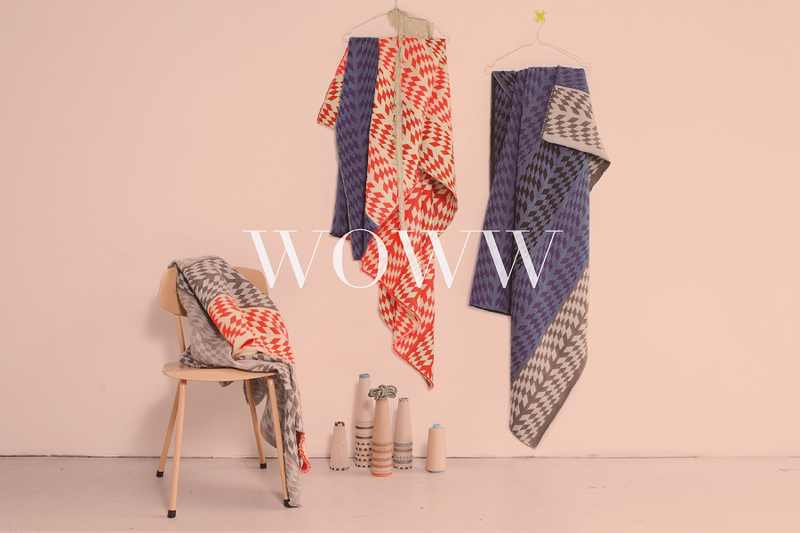 The WOWW Collection is vibrant and fun, mixing bright colours and bold patterns. 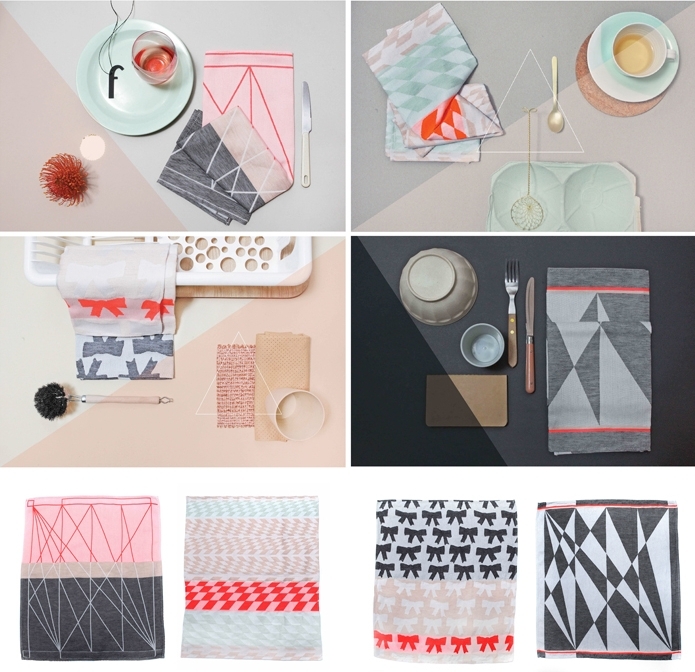 This next photo series showcases Mae's stunning Teatowel Collection. 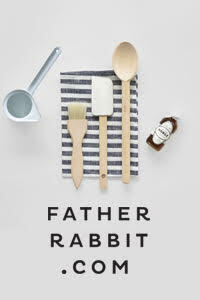 Beautifully styled, the humble teatowel has never looked so good. Made from a mixture of cotton, linen and acrylic yarns these are works of art in their own right. I think I might have to get one to frame and hang on the wall. The only hard part will be deciding which one! 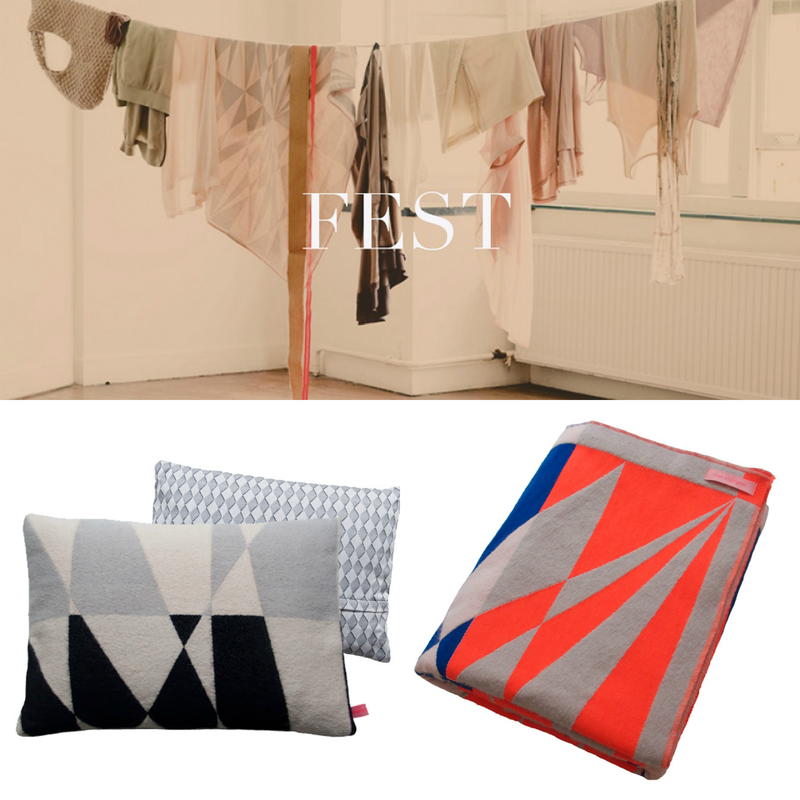 More graphic goodness with the Fest Collection. 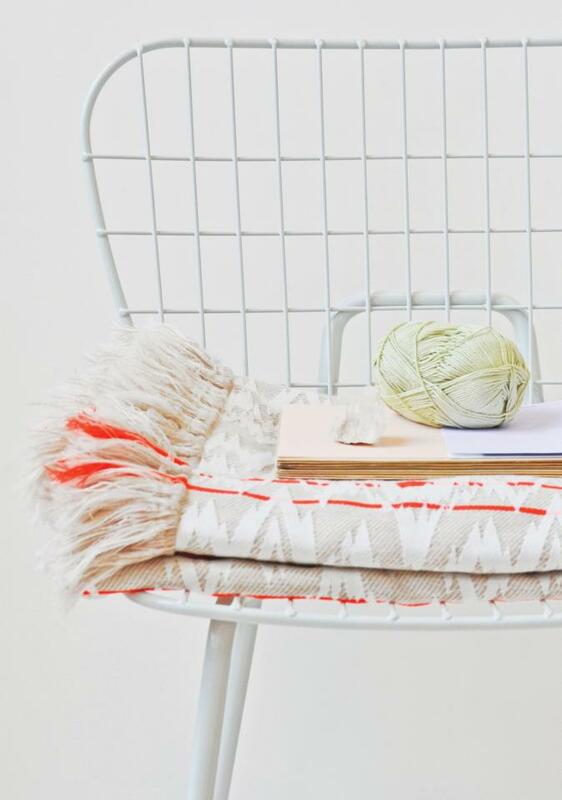 I love how Mae mixes black, white and grey with punchy brights. To see more, pop over to the Mae Engelgeer Studio and Facebook Page. 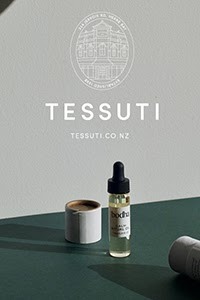 Shop online from Magasin Mae, or if you are in Australia or NZ there is a selection available at The Minimalist. Excellent color patterns. Looking so nice. Thanks for sharing !! Beautiful combinations! I'd love to know where the natural chair with the bright colored seat, featured with the teatowl draped over the back is from, thanks! Beautiful photographs you have captured with us on public . So much thanks for shared .